Bat-El Gatterer, 24, talks religion and sports with Arutz Sheva before her second European Championships. Bat-El Gatterer, world class Taekwondo champion, is still on the top of her game. “I didn’t make it to the London Olympics in August, but my goal now is to win in the European Championships next month in England. 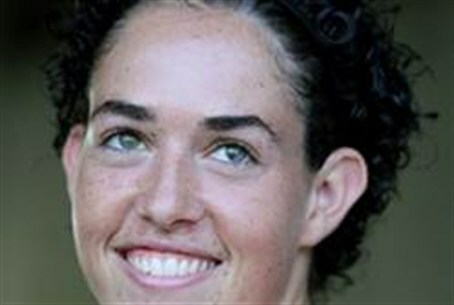 Last year I took ninth place in the world championships, and my goal now is, of course, to win,” she told Arutz Sheva. Gatterer, of the town of Kochav Yaakov in the Binyamin region, previously took first place in her weight class in the European Taekwondo championships, and represented Israel at the Beijing Olympics. Gatterer is unique not only for her exceptional talent, but for the balance her life requires. She manages to prepare for and compete in world championships while maintaining a religious lifestyle. Among the challenges Gatterer has faced are walking up and down 19 flights of stairs when in a hotel on the Sabbath, and in one case, walking three miles in the snow on the Sabbath during a competition in Germany. Gatterer recommends Taekwondo to other religious women. “The goal [in Taekwondo] isn’t to hit your opponents, you learn a lot about yourself, self-confidence, values and honor. It speaks to a lot of religious people,” she explained. Many religious girls have decided to take up Taekwondo thanks to coverage of Gatterer’s story.